Southern Chester County Practical Shooters Association (SCCPSA) is one of some 12 clubs in the Mid Atlantic Section. We hold eight matches per year, one match per month, March through October on the third Saturday of the month. The 2015 match schedule can be found here. If a month is rained out, there will be a makeup match on November 15. 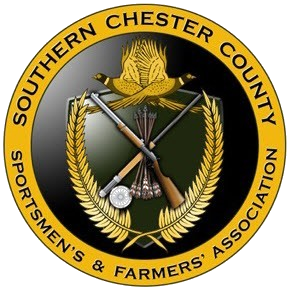 The club (our home club is Southern Chester County Sportsmen’s and Farmers’ Association) is located in the Kennett Square, Pa. area on Rte. 926 about 3 miles west of the Rte. 82 intersection. The SCCSFA 15, 25, 50, and 75 yard ranges will be used for each match. These matches are open to the public and the entrance fee is $20 for USPSA members, $5 for Juniors and $25 for non members. Non-members may join USPSA for $40 and shoot the match for free. Matches are limited to 75 competitors per match and we’re usually done by 4:00 PM. Matches usually consist of 6-7 stages requiring 120-140 rounds (you’ll want to bring extra to be sure of having enough). Pre registration for USPSA members is recommended. If you have not competed in a USPSA match before you will need to be safety checked. First time competitors need check in before 9:30 AM. A Range Officer will look over your equipment to make sure it complies with the rules (your holster must cover your trigger guard, for example). You will learn the range commands that the RO will be using while you are on the firing line. And you will have to do a couple of live fire drills to show the RO that you can handle your firearm safely. For more information contact pistol@sccsfa.org.